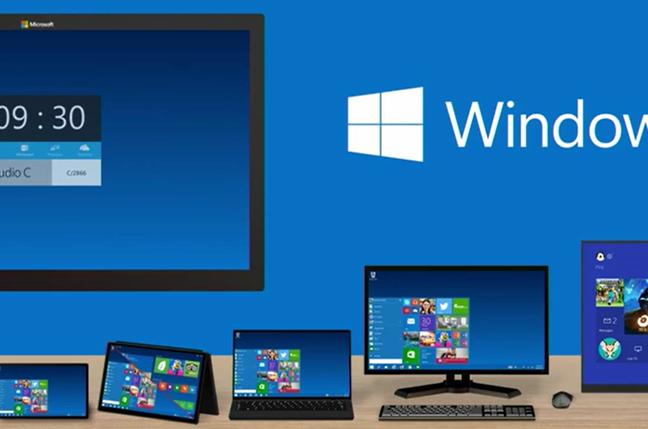 Review Microsoft does not have long to fix Windows 10. The company plans to release it this year, and if that implies hardware on the shelves, the operating system will need to be completed in the summer – and most features will need to be near-finalised well before that. Can Microsoft gets its new Windows ready in time? Build 9926, released for public preview, is a chance to assess progress. I reviewed the new build both on a 12-inch tablet and on a traditional desktop. 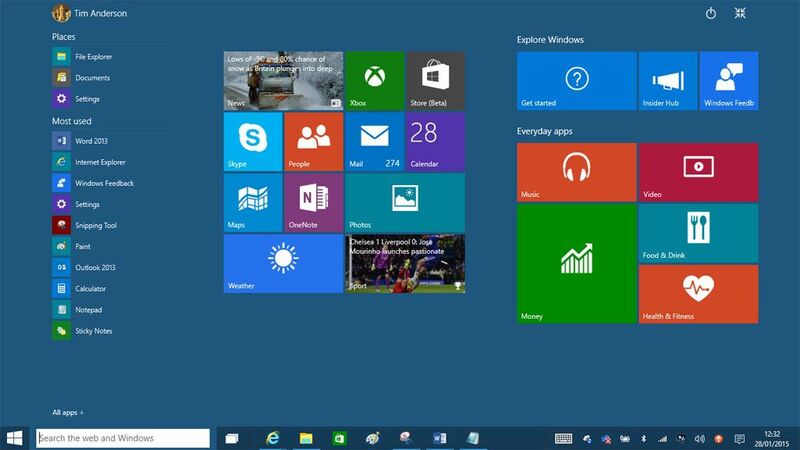 There are plenty of changes from the last preview, November’s build 9879. Microsoft has revealed more of how Windows 10 will combine both tablet and keyboard/mouse support, as well as introducing new apps such as Photos, Maps, and the Cortana digital assistant. Some features, such as live streaming of Xbox games, and the new Project Spartan web browser, are not yet included in the preview. The new Photos app is rather good. The Maps app looks nice but assured me that a bus from Nottingham to London would take 30 minutes (reality is nearer 4 hours). The first thing you notice is a major piece of backtracking. The Charms menu, introduced in Windows 8, has been excised and replaced by a notification and settings panel. Notifications, according to Microsoft, will sync between phone and PC, though presumably only where relevant. The new panel appears when you click the notification icon, or swipe from the right if using a tablet. The problem with backtracking is that many things need to be unpicked. As a Windows 8 tablet user I have come to expect shutdown options when I swipe from the right, but these are now on the Start menu, as they were in Windows 7. Application-specific Search, Share and Settings, which used to be available through Charms, are now on the top left Window menu in each app. The taskbar, which used to be near-irrelevant for tablet users, is now essential for both desktop and touch users. In rebalancing Windows back towards keyboard and mouse, Microsoft has perhaps made it worse for touch users, though the big push for universal apps (which are touch friendly) will more than compensate. The new Notification Center is unexciting in the current build. Not many notifications show up, and when they do, the invitation to “click for more detail” often does nothing. There are also some focus problems. While typing in Word, I hit the Connect button in the Notification Center in order to connect a Bluetooth speaker. The Connect dialogue box opened underneath Word, so I thought it was not working. Another innovation in this build is Tablet Mode. This engages automatically if you dock a tablet so it transitions to keyboard and mouse mode (Microsoft calls this Continuum), or you can turn it on manually via the Action Center at the foot of the Notification Center. The main effect of Tablet Mode is that apps run full screen – even desktop apps – though you still have the option to snap them to fill half the screen in order to have two on view. If you have Word and Calculator on the screen, for example, and you engage Tablet Mode, whichever app has the focus will maximise. This is jarring, particularly if it happens to be Calculator, which really does not need to run full screen. You also find that in Tablet Mode the Restore Down button on a window does nothing, even on desktop apps. It is all a bit odd, and you may find yourself preferring desktop mode even when using a tablet in order to recover full control. Do not make the mistake of enabling auto-hide on the taskbar if you use Tablet Mode. In this mode the taskbar is meant to appear when you swipe up from the bottom, but I saw inconsistent behaviour with the taskbar flashing in and out of view. I also hit a bug in the preview where modern apps did not display at all, fixed by rebooting. Another Tablet Mode feature is that the Start menu shows full screen, though it is the new Windows 10 effort maximised rather than the Windows 8 effort. This is good for consistency, though not altogether better for tablet users. In the new screen, hierarchical groups have returned to the “All apps” view, a list of recently used apps always appears on the left, and Store apps are no longer separated from desktop apps. Search has moved from the right-hand panel to the new search box. Overall it is busier and more cluttered than the old Start screen. It is also less important. In Windows 8 this screen was designed to be the centre of your Windows experience, whereas currently there is no longer even an option to boot into Start; it always goes to the desktop. “The work on Start isn’t done yet, and we’ll have more changes that will show up in future builds including more personalization (and transparency! ), drag and drop, Jump Lists, and the ability to resize the Start menu,” says Director of Program Management Gabe Aul. Cortana makes an appearance in this build, though only if you have your region and language set to US. This “digital assistant” is already familiar from Windows Phone, and in general a promising piece of work. Voice recognition is decent in my experience, though some will be unlucky, and the feature provides a blend of personalised search, automation of common tasks, and reminders and alerts. Cortana bases suggestions on data stored in a “notebook” that you can view through settings. Cortana is not very functional in the present build, though simple reminders work. Voice input is difficult in any noisy environment. This is really about personalisation, though, and in that respect the feature makes sense as Microsoft’s equivalent to Google Now, and with more transparency about what personal data is used. Cortana always searches with Bing, even if your browser is set to another provider, so there is some cross-promotion in there too. The automation aspect, where you ask Cortana to send an email, for example, would be more interesting if opened up for extension by app developers. Continue reading the entire article courtesy of The Register.